With mastery in wood, steel and aluminium the two coachbuilders, working along with the autobody Panel Shop team of six, construct custom coachwork one-off designs from scratch as well as restoring existing bodies, all achieved using construction techniques appropriate to the age of the chassis. Existing autobody designs are re-created in aluminium, traditional wood and tubular steel from drawings or photos, or new bespoke designs created to the customer’s brief. 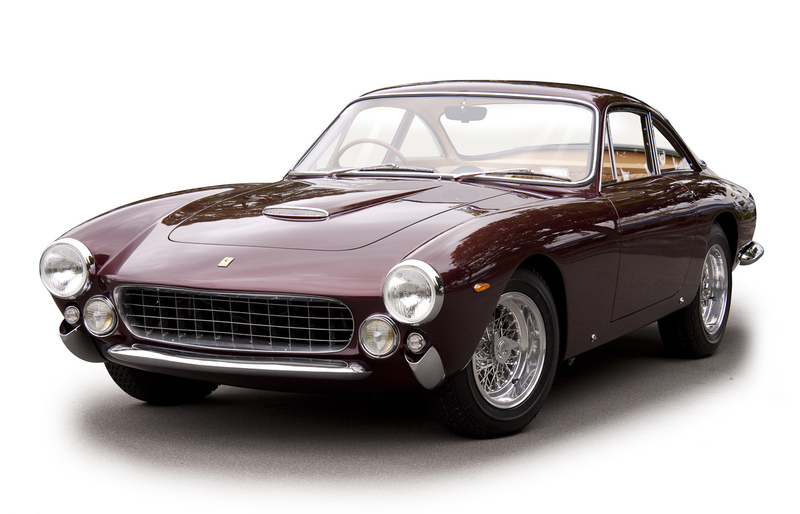 Award winning 1963 Ferrari 250 GT Lusso, widely regarded as the most beautiful sports car of the 20th century. Informal portraits of their employees on their redesigned website, and capabilities brochure in print helped Auto Restorations transform from a faceless company to people that their customers can relate to. The highly specialised, high value personal service that Auto Restorations’ workforce offer to customers is an advantage that they have over large companies, their multiple international Concours D’Elegance awards attest to this. Good photos of their skilled workforce reinforce this. These photos were shot and photo composites produced 2009–2012, they offer a historical profile of Auto Restorations during that time soon after Allan Wylie stepped up from the Mechanical Shop floor to the role of General Manager.